Since my earliest forays into French wines, the brightest stars in my firmament have consistently included the patrician Hermitage La Chapelle produced by Paul Jaboulet Aîné in France’s Northern Rhône Valley. So it was little short of enchanting to step back through time at a vertical tasting of this great expression of Syrah at a recent Chicago seminar sponsored by Robert Parker’s Wine Advocate. 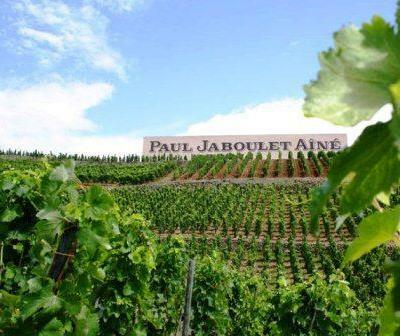 What made the occasion doubly intriguing was the presenter: the youthful winemaker Caroline Frey, whose family, longtime owners of the famed Château La Lagune in Bordeaux, acquired Jaboulet and all its vineyards back in 2006. Frey has been making the wine at Jaboulet ever since her family took ownership, and the three recent examples of her work on display – Hermitage La Chapelle from 2012, 2011 and 2009 – testified to her skill and indeed to the renaissance of a label that had seen some erosion in its general regard during the 1990s. 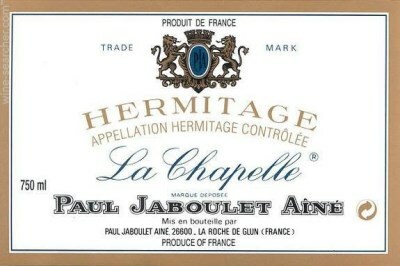 Steadily pushing Jaboulet toward bio-dynamic farming – that is, eliminating herbicides and other forms of chemical treatment – Frey has created nothing less than a new generation of Hermitage La Chapelle that recaptures the depth, intensity and indeed profundity of one of the world’s greatest wines. Hermitage La Chapelle bears the name of a small stone chapel atop the Hermitage Hill on the east bank of the upper Rhône River. It may have been Bacchus himself who sprinkled magic wine dust over these slopes, which support splendorous vineyards of Syrah. Hermitage La Chapelle, by the way, is not a single-vineyard wine but a blend of grapes from four lots on the celebrated hill. Here’s what I found in the five-vintage vertical extending back from recent wines by Frey to Jaboulet classics from yesteryear. The prices cited are typical but variable; and while you might locate all three of the Frey wines in better shops, the two oldest vintages more likely would be auction finds. My wife and I were at the Chicago tasting and agree with everything you said – spectacular wines and Caroline was a delight to meet and learn from. The ’11 & ’12 Hermitage blancs she poured were a great bonus and wonderful as well.